Andrew’s turkey and gravy stole the show once again this year. If you have not grilled a turkey on your BBQ grill before, I urge you to give it a try next year. 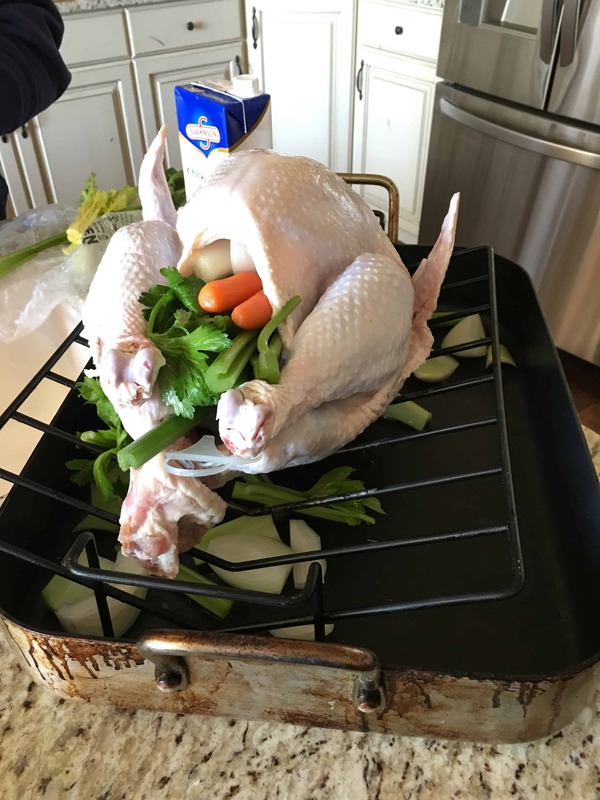 It gives the turkey such a smokey rich taste that cannot be achieved in an oven. Then, the gravy made from it is just icing on the turkey cake. Again, such a smokey deep flavor. Andrew roughly chops celery and onion and precut carrots to stuff the turkey and spread around the bottom of the pan. Next, he coats the turkey with olive oil and worcestershire sauce. Then, he adds a few cups of chicken broth to the bottom of the pan. 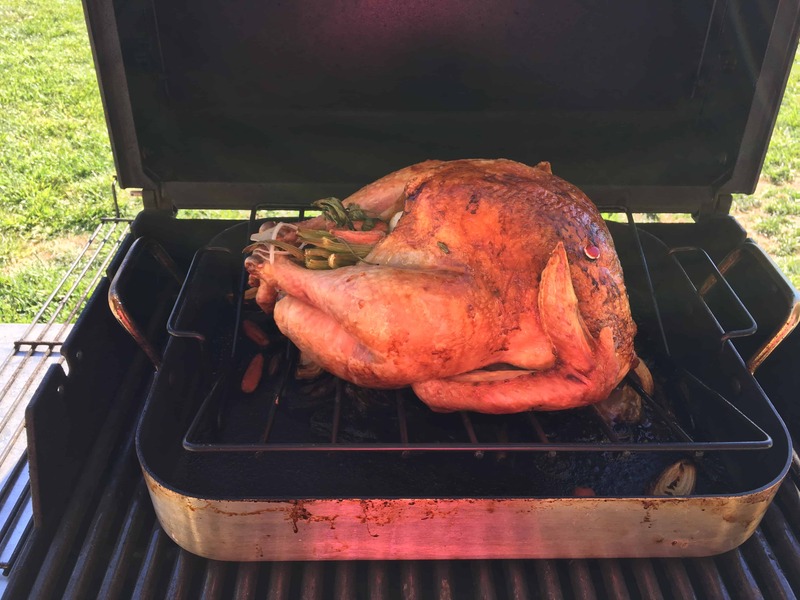 With the grill temperature at 350, he cooks according to basic turkey directions based per pound. This was a 14 lb turkey, and it cooked for about 3 hours. Look how beautiful it turned out! 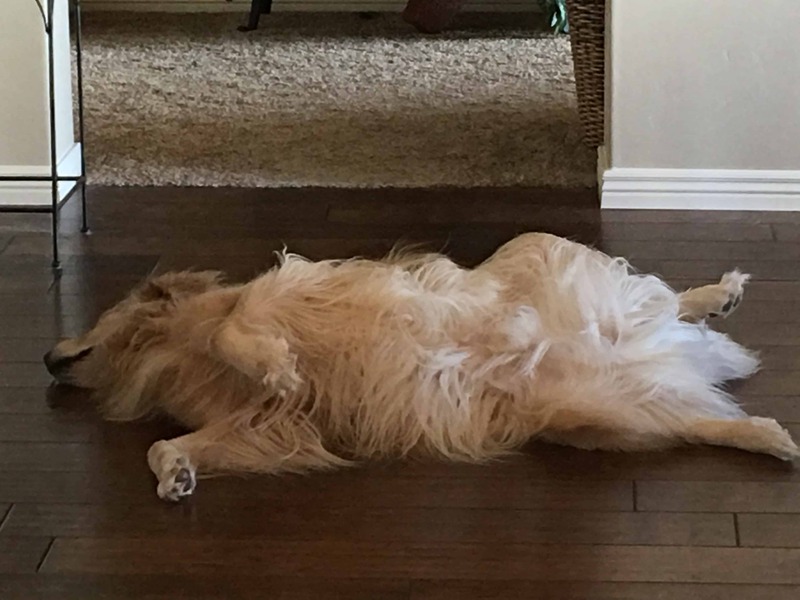 Our dog, Simba, epitomized how we all felt after eating on Thanksgiving day. 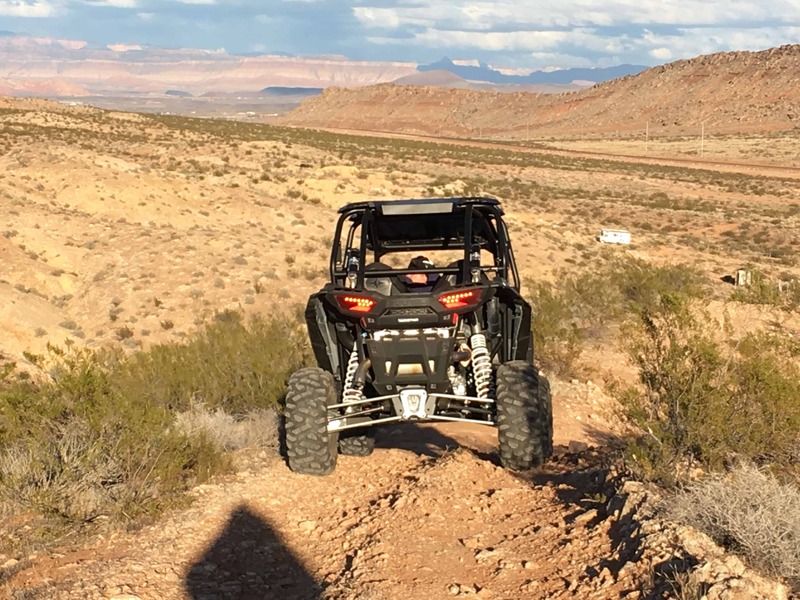 Remember last week when we test drove the ATV Polaris Rzr? 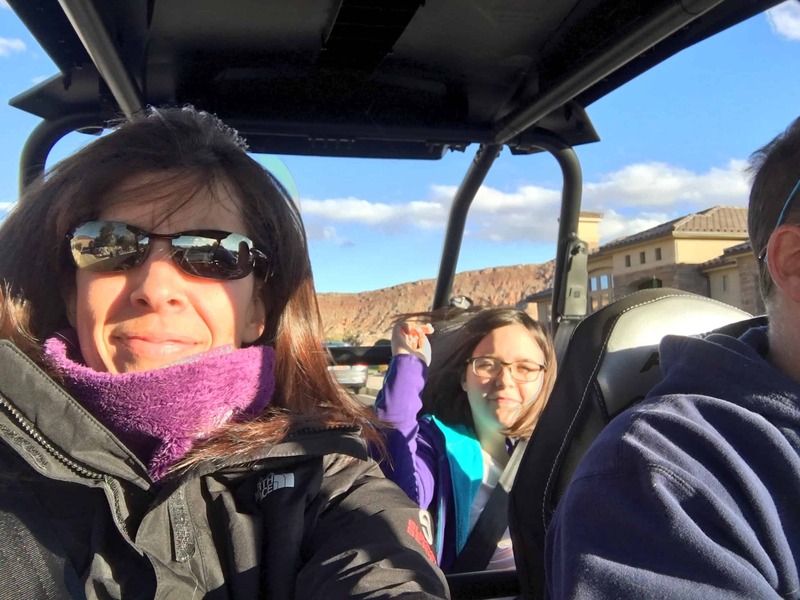 I promised a picture when we got one…here it is on one of our first trips out this week. We went up a trail on a hill that ended up being a little too narrow for me. I opted getting out to help navigate a safe 3 point turn when the road got a little too iffy for my tastes. I was being honest before when I say I was a chicken! The views were great though! Now, for the big news! I am working on something big for us! January 1st is right around the corner. We all have fitness as one of our New Year’s Resolutions, right? How many times have we started to only give up a few days or weeks into it? Well not this year! Join me in this challenge packed with workouts, good healthy food and plenty of motivation! Be sure to sign up so the posts go directly to your inbox so you won’t miss a day. We will be doing some pre-30 day challenge activities to help prepare for January 1. Stay tuned for more info and workouts! I am so excited to share this with you. It’s always more fun to workout with others! Enjoy the rest of the Thanksgiving break! I am off to start pulling out the Christmas decorations! Like Fit Found Me Facebook page now and share with friends!